Silver is orphaned at a fairly young age and is taken in by Mr. Pew, who keeps the lighthouse. Mr. Pew is a story teller and weaves tales for Silver about how the lighthouse came to be and the families that have been touched by it. There are love stories, there are stories of creation, there are stories of darkness and light. The stories of love and the history of the local family were very powerful to me. Without much semblance of time in this book, these stories had a timeless feel to them, making them feel a little magical. I really enjoyed this aspect of the book. However that same timeless feeling caused problems in other areas. The lighthouse is upgraded to be more modern, kicking Pew and Silver out of their home. Pew leaves the lighthouse with Silver's dog but without Silver herself. Did I miss something? Why would Pew, who seemingly loves Silver, take her dog and disappear? Near the end of the book, there was a complete description of the opera Tristan and Isolde which, though I'm sure has deep meaning, felt completely out of place. Love, history, love, history, BAM here's a random story about an opera. The writing itself was beautiful, just confusing at times. First Line: "My mother called me Silver." The Drummond family is getting together for the first time in many years to watch daughter Sarah launch in to space at Cape Canaveral. Mom Janet is separated from husband Ted, who shot son Wade when he found out he had slept with his new wife. Wade, protecting his mom, had the bullet pass through him in to his mom, infecting her with HIV. Sarah was born with one hand due to the medications that Janet was on during her pregnancy. Youngest son Bryan has tried to kill himself more times than they can count but has now gotten his girlfriend pregnant and has found a reason to live. Obviously this is an extremely dysfunctional family. The title of the book very accurately describes what to expect. The characters in this novel are what makes this book. They are all imperfect yet as a whole family unit it works and they support each other. The whole book is completely unbelievable but it doesn't matter because you get invested in the characters and their crazy adventures. I've been a bit disappointed with recent Coupland books I've read. Even though this isn't my favourite by him I still enjoyed it. First Line: "Janet opened her eyes - Florida's prehistoric glare dazzled outside the motel window." Joe Simpson and his climbing partner, Simon Yates, are attempting to reach the peak of 21,000 foot Siula Grande in Peru. The two eventually make it to the top but then it starts to snow and cracks appear in the ice. Simpson ends up falling and breaking his leg badly. He's at the top of the mountain and you need two legs to get down. Simon tries to help Joe but it gets to the point where Simon needs to cut Joe's rope to save himself, leaving Joe to find a way down the mountain himself. Simon returns to base camp with a heavy heart and a lot of guilt. But Joe isn't dead. He's still fighting to get down the mountain despite his broken leg and no food or water. This is a tale of survival, but it felt rather monotonous to me. He fell while climbing over rocks and we're told about each individual rock he fell over. Having read books like Into Thin Air by Jon Krakauer, I felt that this one was missing some of the magic from that book. Everything just happened and there wasn't much suspense about it nor awe from it because it was drawn out. Part of the problem could have been the language used. While I know what some of the terms are, I had to look up "col" and "abseil". Wouldn't rappel be a better word in place of abseil? Wouldn't more people understand it? Even though this story takes place in 1985, it has a timeless quality to it. This could happen today. Even though there seem to be three afterwards for this book, no wh ere does it actually state what the hell was wrong with his leg! All the book spent talking about how much pain his leg was in and what was wrong with it, I expected to learn exactly what the problem was with it and how they fixed it. First Line: "I was lying in my sleeping bag, staring at the light filtering through the red and green fabric of the dome tent." George Foss is having drinks with his on-again-off-again girlfriend when he notices a familiar face at the bar. It can't be Liana. She's on the run from the police and George hasn't seen her since college. George drops his girlfriend off and then circles back to the bar to see Liana. It is her and she needs George's help. George can't help but remember the one semester they shared in college together. The two shared something special and George hasn't been able to find anything like it since. But he knows she's dangerous. Liana explains that she just needs George's help to return some money to an ex-lover. It's a simple ask, with no risk. Except nothing with Liana is no risk. The book flips between the present day and the past. It did a good job of providing good background from the past before continuing on in the present. The way the chapters of the past ended definitely made me want to keep reading. I'm not sure I would call them cliffhangers but they were good at driving the plot forward. The history between George and Liana was described as quite steamy yet something was missing for me as to why George would offer to return money for Liana. I kept thinking that I would say no if I were him. That would be the end of the book though, wouldn't it? I'm not sure what else could have been added to help me accept this as I'm not entirely sure why I felt like I would have said no right away. This also was an overall problem I had with the characters. I never understood Liana and her problems and I never cared much for George. By the time I got to the end of the book, I felt like far too much had been left to chance to be even the slightest bit believable. Even the characters describe it as such! The ending was a "hail mary", with the characters just hoping that everything would work out. I wish the ending had been a bit smarter so that it was believable what had happened. Despite this, there was enough tension to keep me flipping the pages and wondering what is going to happen next. This would make a good beach read. It's easy to get through, doesn't require too much thought, and is a page turner. First Line: "It was dusk, but as he turned onto the rutted driveway he could make out the perimeter of yellow tape that still circled the property." His poems, stories and reviews have appeared in such journals as The Atlantic, Asimov’s Science Fiction, Epoch, Measure, Notre Dame Review, Soundings East, and The Vocabula Review. 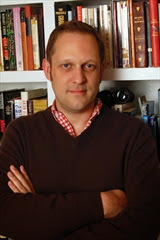 He has won awards in poetry from The Lyric and Yankee Magazine, and is currently completing a sonnet sequence on all 53 of Alfred Hitchcock’s films. He lives with his wife and cat in Somerville, Massachusetts. In this third book of the Department Q series, we're back with Detective Carl Morck and his assistants Assad and Rose, sorting through old unsolved crimes in Denmark. Scottish police send them a message in a bottle that's been sitting around and forgotten about by the Scottish police for years. By blowing up an image of the message, the team works on trying to sort out what the message, written in blood, says aside from "HELP ME" at the top. This book spent a lot of time with the suspect himself. It explained his background and some of his past crimes as well as how he tried to build a life to make him look normal. Because I find Morck and the crew so entertaining, I missed them. More than half of the book was not them investigated the crime. Even though the other piece was well written and engaging, I would have preferred more time with Morck. In the past two books, the author has touched on Morck's psychological problems with his partner getting shot but he never seems to hit the nail directly on the head. It was discussed for a total of about one chapter but really needs more exploring in the next book. I really enjoy the books in this series and this was no different. I found the ending exceptionally well done. Highly recommended! First Line: "It was the third morning, and the smell of tar and seaweed had got into his clothes."